Bring the whole family for a day of fun and laughter to our family run attraction. We have added a whole new dimension to our lavender farm and there is lots to see and do for all ages. We are situated just off the A64 six miles East of Malton on the way to Scarborough. Season Tickets to enable you to enjoy the farm all season long and get 10% off in our tea-room!!! – Ask in the gift shop for details. Visit for the day and we are sure you will want to upgrade to a season pass. Willow Warren – a great new addition for your little ones to play, run, hide! Den Zone – build your own den, use your imagination and skills to create your own play den. Fully refurbished Gift Shop and Tea-room. Lots more outdoor seating added. More exciting additions to come throughout the year. Keep checking our website or follow the Mumbler blogs to be the first to hear what’s happening! 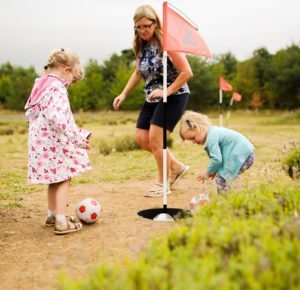 Our Giant Games Maze, Nature Trails, Mini Foot-Golf, Mud Kitchen and Giant Sandpit, Mini and Junior Timber Trails, nature quiz and seasonal activities will ensure there are lots to keep the whole family entertained. 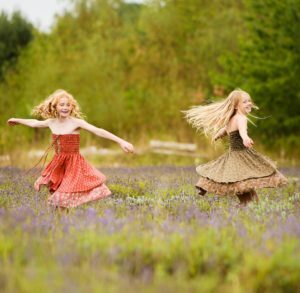 Take a ride on our Miniature Railway, enjoy the wildflowers and inhale the intoxicating aroma of the lavender. Visit our newly refurbished tea-room for refreshments or bring a picnic and meet up with friends. We stock Yorvale ice-cream – a delicious locally made product! We grow and harvest the lavender to produce our 100% Pure Essential Oil. Our Distillery produces the Lavender Oil which we use in our bespoke products. Visit our gift shop and treat yourself to a little luxury. Whilst the kids check out the toy area browse at your leisure. Lavender oil is calming, soothing, stress relieving, anti-viral, antiseptic, analgesic, relaxing and aids sleep. Nature lovers will delight in the abundance of wildlife around the fields. Information boards about the natural habitats of birds, bees, butterflies etc. are being added all the time. We are an environmentally friendly attraction and hope you enjoy the special atmosphere of our beautiful, calming, fields. Children will be able to learn through play, whilst the adults can relax. Free Parking. Gift Shop. Tea-room. Plant Sales. Toilets, Disabled Toilets and Baby Changing Facilities. Dog friendly. Visit us – you won’t want to leave! Open DAILY from 30th March until 29th September. See www.woldswaylavender.co.uk for admission prices.